Those of you who've spent hard-earned dollars in the last couple of years on a killer new Dolby Digital/DTS A/V Receiver may think you have it all—discrete Dolby Digital 5.1-channel surround sound as well as further evolutions of it and DTS (THX Surround EX, DTS-ES, etc.). Make no mistake: Dolby Digital 5.1 and DTS do deliver a home theater experience that often rivals and sometimes exceeds its theatrical equivalent. But somehow lost in the stream of promotion for DVD, Dolby Digital, DTS, and their offspring is a quiet little Dolby Labs processor that in many respects offers surprising and spectacular effects. And get this: you likely already own the software! It extracts these effects not from the latest Dolby Digital DVD release from Blockbuster but from your existing collection of stereo CDs and old Dolby Surround movies. It's called Dolby Pro Logic II (DPL II for short); and if you haven't heard it yet, you're going to love it—and want it. Because when you switch on DPL II (included in many new up-market receivers and even a few entry-level models) and play just about any two-channel stereo CD, even vinyl or a laserdisc (remember those? ), DPL II produces an utterly natural-sounding 5-channel surround experience that, in its precise directionality and spatial expansiveness, rivals that of Dolby Digital 5.1-channel discrete soundtracks! But how much better can DPL II be than old-fashioned Dolby Pro Logic, now more than 10 years old? I'll tell you: a lot. Remember how disappointing Dolby Pro Logic was whenever you tried playing a CD or stereo album through it? Everything collapsed into the center channel. It sounded like mono with muffled ambience. DPL II, however, is an entirely different experience. DPL II delivers two full-range stereo surround channels, 20 Hz to 20 kHz, not a rolled-off mono channel "band-limited" at 7,000 Hz (nothing above 7 kHz, and in my quarters, that ain't hi-fi). Moreover, DPL II naturally extracts all the ambience and directionality that already exists in the stereo recording. Got an old copy of Dire Strait's Love Over Gold or Celine Dion's All the Way: A Decade of Song, kicking around in your CD rack? Check your receiver (you may already have DPL II and not know it) and switch it to DPL II, Music mode. 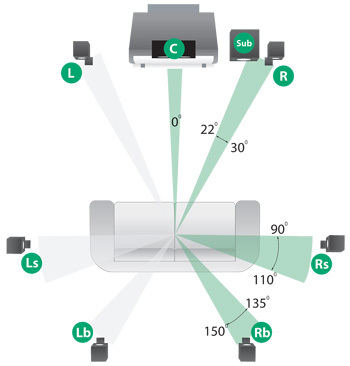 If the receiver has DPL II control options—and most do—set Panorama to off, Dimension to 0, and Center Width to 3. Now play track 4, "Because You Loved Me," from Celine's album, or track 1, "Telegraph Road" from Dire Straits. Or perhaps the first two tracks from Sting's Brand New Day or Alan Parsons' On Air. Don't have those discs? Doesn't matter. Take any classical or jazz stereo recording (DPL II works especially well with acoustic performances) and give it the DPL II treatment. Are you convinced now? DPL II is almost as good as Dolby Digital 5.1! Read the fine print. A quick (and by no means complete) survey of mainstream and upscale receiver brands reveals that all Harman/Kardon, Denon, and Onkyo (Integra, too) A/V models have it. JVC and NAD do not. Rotel has it. Kenwood's upmarket receivers have it. 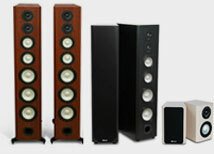 A few Marantz and Yamaha models have it; Sony does not. Note that not all receivers with DPL II's Movie mode have the Music mode (see below). So read the fine print! 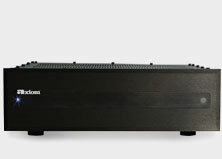 DPL II is a dramatically improved matrix surround system based on the original Dolby Pro Logic system first introduced in 1987, which was already a major upgrade of the original Dolby Surround matrix. (Matrix surround decoding is the process of extracting several output channels from a 2-channel delivery system.) In the case of Pro Logic, there were four channels: front left, center, and front right, plus a mono surround channel that was usually split between two rear speakers. The surround channel was also "band-limited" at about 7 kHz, reducing the treble frequencies. Compared to "old" Pro Logic, DPL II offers two full-range stereo surround channels, more sophisticated steering logic, high channel separation and an exceptionally stable sound field. Of course, in the past, different manufacturers tried to upgrade Pro Logic by adding complex detection and decorrelation circuits, the latter an attempt to create two stereo rear channels from a mono signal. These circuits not only produced unnatural effects, but also sullied sound quality by simply over-processing the audio signals. DPL II throws out most of this processing and replaces it with simple servo circuits used to derive the five channels. And, unlike the synthetic "jazz club", "hall" and "stadium" modes found on many A/V receivers, DPL II introduces no phony delay-induced echoes, reverb, or tonal coloration. Not all receivers with DPL II have the Music mode (it's optional) or the three sound field controls that let you tailor the sound field to your own taste: Center Width lets you gradually spread the center-channel sound into the front left and right speakers. 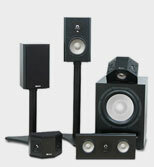 At its widest setting, all the sound from the center is mixed into the left and right speakers. Panorama wraps the sound from the front left and right speakers around you for an exciting perspective. And a Dimension control adjusts the front/back balance to suit your taste. 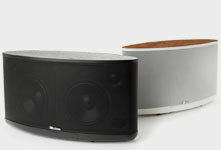 Nor is DPL II limited to stereo music sources. DPL II's Movie mode works with thousands of older Dolby Surround VHS-HiFi videotapes and DVDs that weren't mastered for Dolby Digital 5.1, as well as for laserdiscs and satellite broadcasts. Need further convincing? Dolby Labs recommends the first chapters of Tomorrow Never Dies or The Abyss, or the second half of Chapter 3 from Star Trek: First Contact. As for myself, I'm one of those "early adopters", the type who must have the first available consumer Dolby Digital receiver offered for sale. You guessed it: my A/V receiver does NOT have DPL II! So I'm marching out, cash in hand. Time to upgrade, again!